The HT Mini is our newest product in our high throughput homogenizer line. It's compact design allows for rapid benchtop homogenization at a fraction of the cost. The HT Mini accepts three 2 ml microfuge, unskirted tubes and has a homogenization speed range from 2700 RPM to 4000 RPM. The digital readout allows for precise speed configuration and timer. 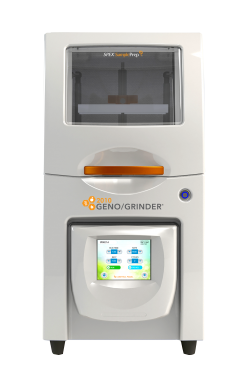 The HT Mini has the capabilities to homogenize yeast, soft tissue, plant samples and much more. Not sure where to start? Check out our application table for a list of samples and a suggested homogenization method.